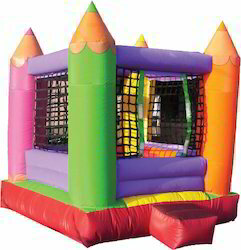 Prominent & Leading Manufacturer from Ahmedabad, we offer bouncy ball net amusement structure, ball pool houses, inflatable castle 05 ball pool, bouncy house ball pool and giraffe theme bouncy. We are offering to our customers a wide and exclusive range of best quality toys and stuff and in this range we are offering quality Bouncy Ball Net Amusement Structure. The offered item has been prepared by us in the most conventional structure and is availed to the customers in the most industry leading and comprehensive prices. 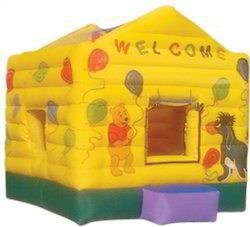 We offer a wide range of high quality of Ball Pool Houses to our customers. These products are manufactured using high quality of raw materials. These houses are developed and designed especially for the young kids. The house is built on a solid platform. These products are designed using latest technology and advanced machinery, to ensure high standards of safety and quality. These products are offered with most conventional structures that are available at standard market prices. 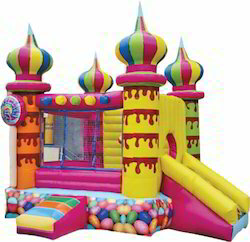 We are manufacturer of Inflatable Castle 05 Ball Pool in Ahmedabad, Gujarat. 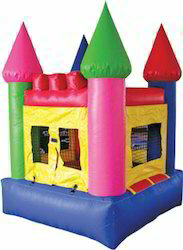 We are manufacturer of Bouncy House Ball Pool in Ahmedabad, Gujarat. 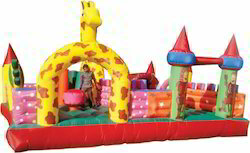 we are one of the leading manufacturer and supplier of Giraffe Theme Bouncy. We obligated to meet the quality standards as per the customer demands.